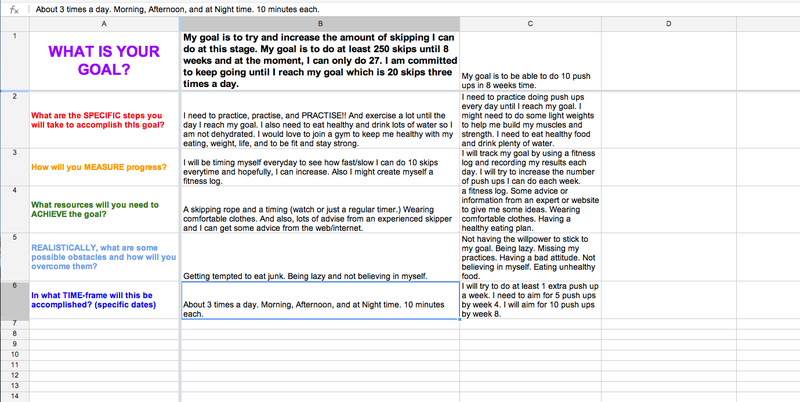 We have been doing, learning, practicing and contributing with a fitness log that we have planning over the week. We had to choose out of 5 things that what we wanted to increase. One of them were skipping and that is what I chose. 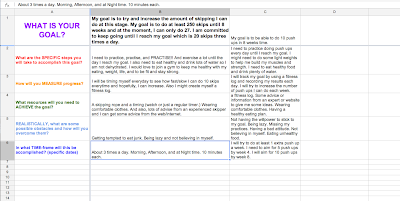 Here is "my" Goal Setting and Fitness Log!! Great work... Room 20 also have to do the fitness goal. I have chosen to do skipping, step ups and beep test. Keep up the awesome work!